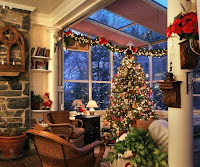 Converting your sunroom or addition solution into an enchanted winter escape should start by choosing a color scheme. Whether you decide on white and blue hues or red and green tones, keeping with a color scheme will make it easy when it comes time to choose your decorations. Our favorite décor for your sunroom or addition solution is light wrapped garland. Pin garland around the perimeter of your sunroom or addition solution ceiling utilizing suction cups and twine. In a rush? For quick, last minute decorations, replace all your pillows with holiday-themed decorative throw pillows, add planters full of poinsettias and spray your windows with artificial snow for instant winter joy. 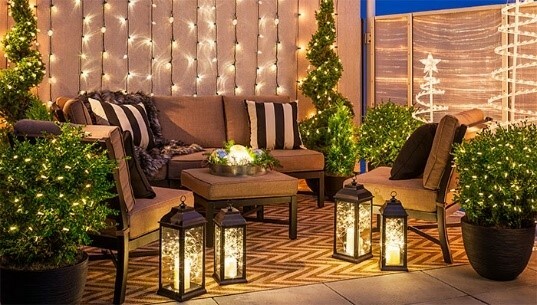 Bring festivity to your patio, deck, LifeRoom or porch this season with pops of color, lights upon lights, and seasonal greenery. Replace cushions and pillows with pops of red, blue, white, or green. Wrap columns with string lights and garland and layer seasonal greenery in potted plants (our favorite season greenery is traditional pine, silver dollar eucalyptus, classic magnolias, and plush redwood). Think outside the box by hanging string lights vertically across a solid wall for a modern touch and add non-traditional lit décor such as these festive and chic spiral LED tree displays that add dimension and twinkle softly throughout the night. Want to try your hand at an easy DIY project? Fill lanterns with round ornament balls and fairy LED lights for a simple decoration that is custom made for your color scheme. 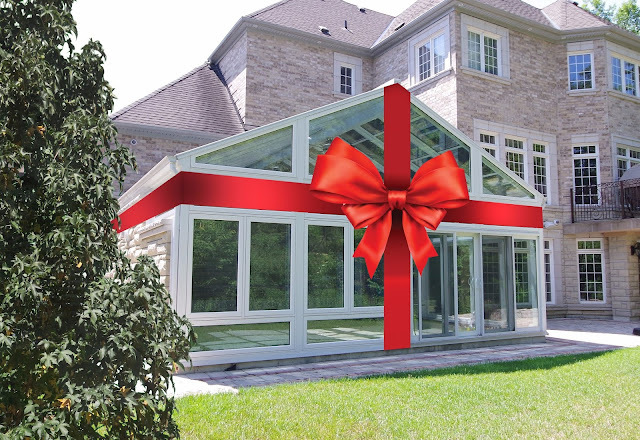 Whether you’re looking for simple décor or an over-the-top holiday look, decorating your sunroom, addition solution, patio cover, deck, porch or LifeRoom doesn’t have to be difficult. With a few simply changes, festive lights, pops of color, and seasonal greenery, transforming your sunroom or outdoor living solution can be a quick, simple, and budget friendly task. Don’t yet have an outdoor living space, sunroom or addition solution? Four Seasons Sunrooms & Windows has you covered this winter. Contact us today for a FREE in-home consultation, 888-270-3546.